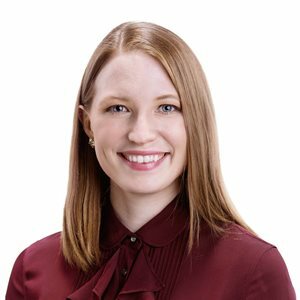 Bria Fallen is a lawyer in Gowling WLG’s Calgary office, working with a dedicated team of professionals to facilitate commercial lending transactions. Bria’s practice focuses on working with clients to find solutions to meet their business goals while optimizing financial requirements. Bria also has extensive experience working with lenders and borrowers on secured financing transactions, M&A, commercial leasing matters and corporate reorganizations. Prior to joining the firm, Bria practised with a mid-sized business law firm in Calgary after articling and practising with a leading Atlantic Canadian law firm.